Ersilia (Sil) Olimpio lives in Pawling, NY with her husband, John, and their two daughters, Bionca & Antonia. 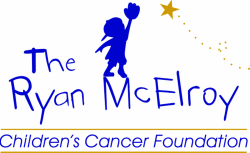 They have been involved in the Ryan McElroy Children's Cancer Foundation from the beginning. Sil, who is co-founder of the Foundation, sits on the Board of Directors as the Vice-Chairman. Friends and neighbors of the McElroy’s, the entire family was there through every battle Ryan fought. Despite their overwhelming grief, the two families decided they must do something to honor Ryan and his courageous fight. The first fundraiser event was a $5 raffle ticket to win a trip to New York City. The Foundation raised $2,000 which went to a local boy with cancer and his family. This foundation's creation is a story of unconditional love, faith, and the power of not giving up despite the great pain and loss they had been through when Ryan journeyed on from this life. It is the best example of ordinary people creating something extraordinary out of nothing more than the heartfelt hope inspired by an amazing little boy with a courageous spirit and contagious smile. Everyday people CAN change the lives of others. Sil Olimpio has been very dedicated in carrying forward Ryan's living spirit for over a decade. If not for her undying desire to help others, many people would have never heard of Ryan McElroy... A true warrior!